Some handy tips can help lessen your discomfort during the pregnancy. Getting pregnant is a blessing in itself and I personally savoured each moment of this special time in my life. But before you think it is going to be a bed of roses, let me tell you that it comes with its own share of challenges including morning sickness, mood swings, nausea, swollen feet, growing belly, backache, fatigue, anxiety, cramps and many more. However, rather than cribbing on these discomforts, why not take the advantage of your status and enjoy the opportunities it brings? What if some tips can help lessen your discomfort during the pregnancy? The Belly Bandit Upsie Belly is designed in a way that you can use it throughout your pregnancy. With the growing baby bump, it becomes quite uncomfortable and difficult to move. This is where Upsie Belly Pregnancy support belt provides immediate relief. It supports your back, hip and abdomen and eases in back and leg pain. It even helps in relieving bladder discomfort and minimizing stretch marks. Stretch Marks are a common problem during pregnancy, all thanks to the ever drying skin. Keeping it moisturized and supple is key. The Bepanthen Stretch Mark Cream helps keep the stretch marks at bay. It is dermatologically tested and is made of natural ingredients to provide utmost nourishment to the skin. With the growing belly, a sound sleep remained only a dream... until now. A pregnancy pillow is a boon for the mothers-to-be, for it provides that cushioning effect which supports the growing belly with its softness. You can easily adjust it when needed. Well, whether you are pregnant for the first time or having a repeated pregnancy, this guide is a must. Every pregnancy is different bringing an altogether different set of experiences. You can only make informed choices when you have complete information about different states and conditions. This guide caters to all aspects of birthing. It is a must for all pregnant women and those around them. Pregnancy is a stage where the most important thing that we crave for is ‘comfort’. With a growing bump, it becomes really difficult to keep up with own body. Lorna Drew lace mini briefs are especially designed to sit comfortably under your bump. And the best part is, they look lovely too, with delicate lace panels and sheer back detailing. Perfect for pregnant ladies as well as new mothers! Pregnancy is one of the most memorable times in life. However, memories fade but pictures don’t. 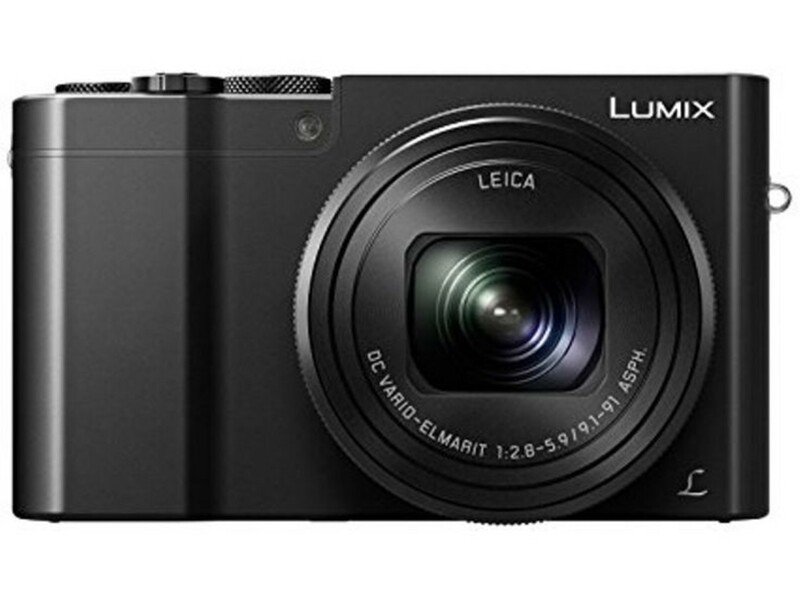 Capture the most beautiful moments of your life with the Panasonic Lumix DMC-TZ100 compact camera. It is extremely versatile and has a surprising 4K video technology to help you make up to 4 times the quality of Full HD. You can take images now and excited about looking back on them later. You can even connect it to the large TVs screen and play back the memories! A baby for sure changes your world upside down, but only for the better. However, there is one change that surely won’t be appreciated by you and that is the physical change in the shape of your body. Thus, to help shrink your belly, waist and hip, grab the belly Bandit Bamboo Post Pregnancy Shaper. It helps with abdominal separation and also provides comfort after C-Section. It is gentle and kind to your skin and supports back, leg and core muscles. These are the Top 7 Products all pregnant ladies must have. Pregnancy can hold some of the best and worst times of your life. Why not enjoy it the most with the help of the above recommended products? After all, pregnancy is hard but it’s all worth it!